Recently divorced and in the middle of a creative crisis, Peter Harper decides to take shelter on Ireland's scenic and isolated Tremore Beach. But after he is struck by lightning one stormy night, he begins experiencing terrible headaches and strange dreams. As the line between his dreams and reality begins to blur, Peter realizes that his bizarre dreams may be a warning of horror still to come. 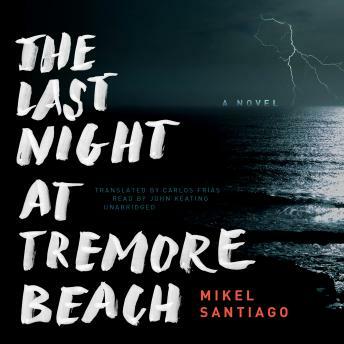 Gripping and impossible to put down, The Last Night at Tremore Beach is a haunting, atmospheric thriller perfect for fans of Stephen King and S. J. Watson.